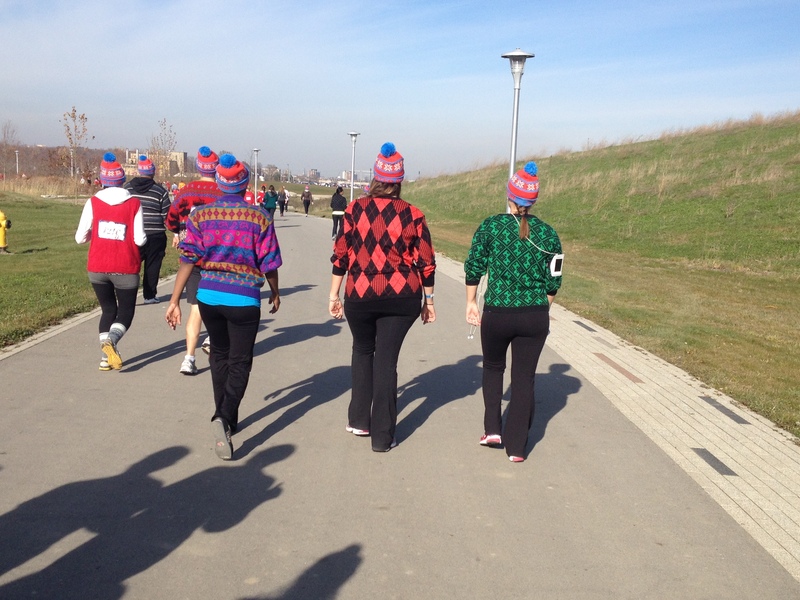 This morning, we headed up to Downsview Park to participate in The Ugly Sweater Run. This run is a 5k out and back course, and a non-timed event. 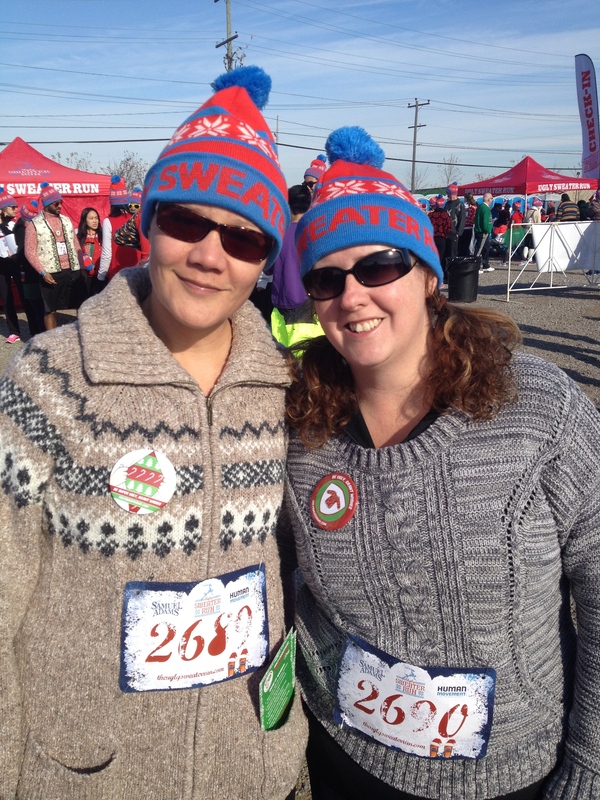 Here we are prior to the start of the race donning our ‘Ugly Sweaters’. Don’t we look stylish! The weather was fantastic today with a bit of sun and around 8 degrees celsius. Perfect running weather. I don’t really have much to report on the race itself, it’s a 5K after all. Downsview is pretty much an open park area; a relatively flat course, with a few gradual inclines along the way. There was a point at around the 3.5k mark where one could climb a hill to take a few scenic pictures, but this was not mandatory for participants. Most just walked around the hill and stayed on the paved path. 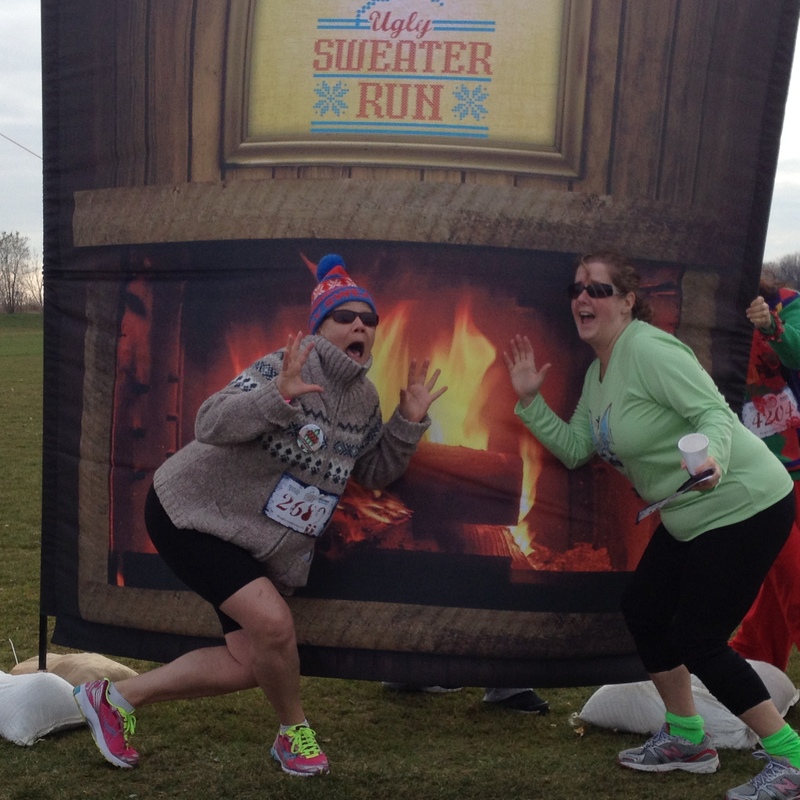 There was a hot chocolate station and a picture op at one point with big blow up reindeers. Participants were also allowed to take their dogs on the course as well. Some even gave their pup an ugly sweater. Woof-Woof! Here’s some of our highlights in pictures…. 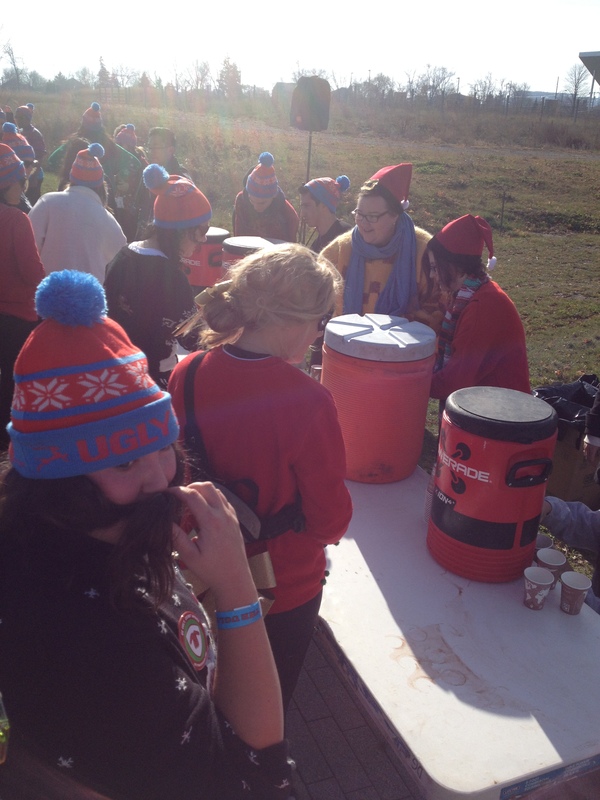 Hot Chocolate Station – Yum! I loved these ladies. Them there’s some ugly sweaters! Ahhh…we’re melting! Actually no, no runners fell into any fires! However the wind almost blew this on top of me! Again, it was a fun run but I would be amiss if I didn’t mention that it was short by 600 metres from it’s 5K mark. My Garmin was shut off at the finish (yes, I did remember this time to push the button-winning!) at the 4.44k mark. All in all though, we did have a good time. These fun runs in the midst of training for Dopey, help to keep me a little sane when I’m usually attached to my training plan and the seriousness that goes with it. 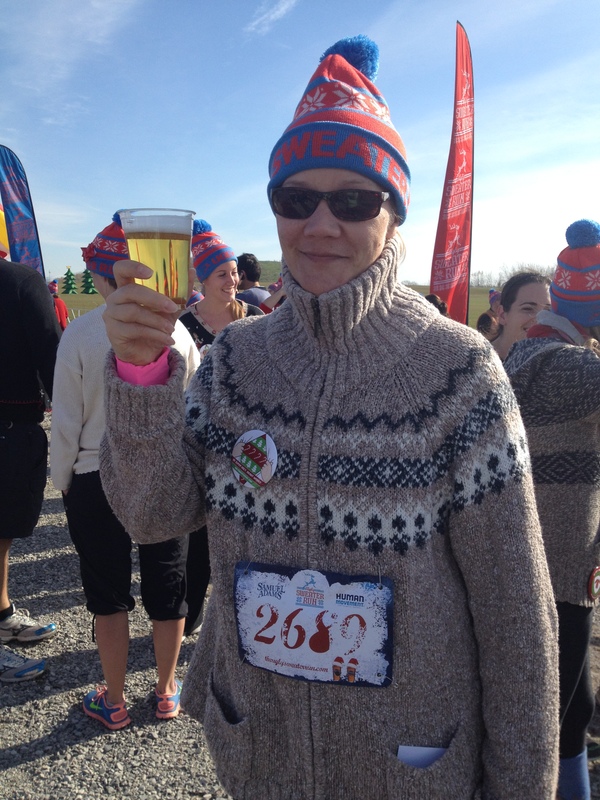 This entry was posted in Race Events and tagged 5k, christmas, Downsview Park, running, The Ugly Sweater Run by Urban Running Girl. Bookmark the permalink. What a hoot! I have seen pics of this race coming up all day! Made me smile …cause the blizzardy storm we are having here is not making me smile! Ahhh…sorry to hear about your blizzard Tina. Yes, we had a good day today in terms of weather. It’s up and down around these parts, so at this point in the year, one is never sure what to expect. Glad you enjoyed the pics. This looks totally fun! 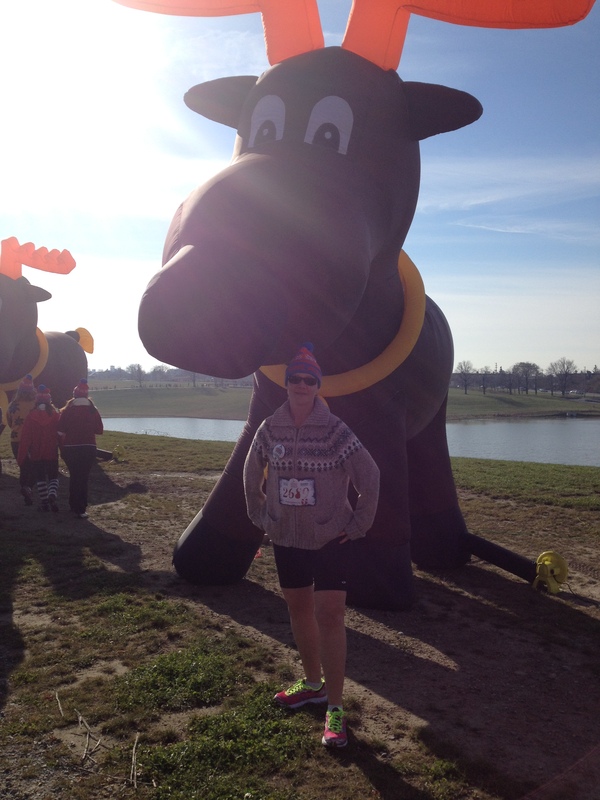 I know what you mean about races keeping you sane during training. Sometimes you just need a lot of bodies around you, moving in the same direction to keep you going. Absolutely! And having the themed event, without a timer helps to take the pressure off. Our next event is the Santa 5K in Hamilton next weekend. 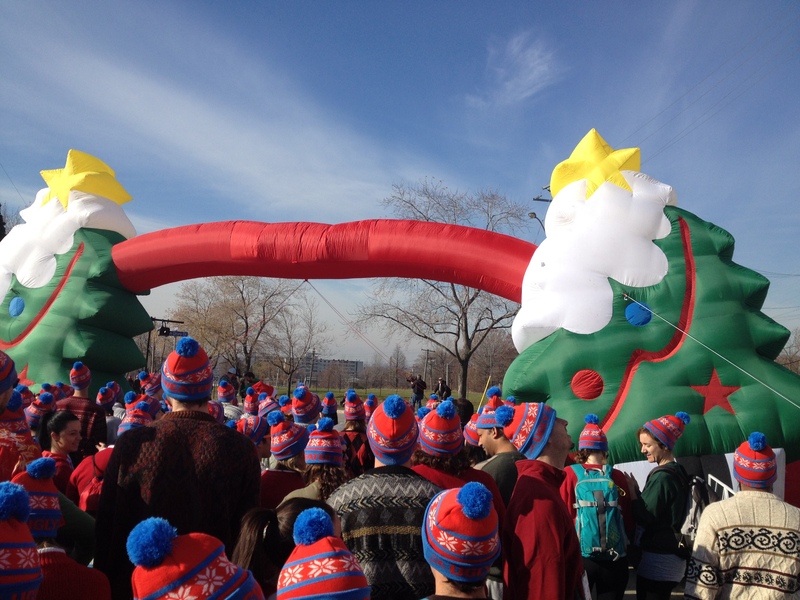 Hundreds of runners wearing Santa suits. Woot!